West Indies have announced their squad for the One Day Internationals against Afghanistan. All-rounder Roston Chase has been rewarded for his consistent run in the Pakistan Tests with a maiden call-up to West Indies' ODI squad. There was no place for senior players Sunil Narine and Kieron Pollard. With his prolific run scoring in the last Test series and his continued steady all-round performances in the PCL, we now feel it's time to introduce him to ODI cricket. There will be 3 ODIs between the two sides. All three ODIs will be played at the Darren Sammy Cricket Ground in St Lucia, with the first game slated for June 9. 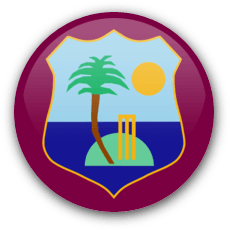 Jason Holder (captain), Devendra Bishoo, Jonathan Carter, Roston Chase, Miguel Cummins, Shannon Gabriel, Shai Hope, Alzarri Joseph, Evin Lewis, Jason Mohammed, Ashley Nurse, Kieran Powell, Rovman Powell.